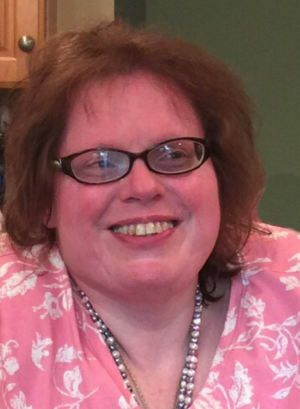 Obituary for Mary Beth Glassey | Wyman-Fisher Funeral Home Inc.
Mary Beth Glassey passed away suddenly on January 21, 2019. Mary was born and raised in Bronx, NY and has resided in Rockland County since 1978. Mary Beth graduated from Saint Thomas Aquinas High School in 1977. She is survived by her sister, Margaret Cahill (Dennis), sister-in law, Eileen Glassey along with several nieces and nephews. She is predeceased by her parents, Thomas and Lillian Glassey along with her brothers, Hubert, Thomas and sister-in-law, Sharon Glassey. Viewing will be held Monday January 28th from 6-9 pm at Wyman-Fisher Funeral Home Inc.
A Mass of Christian burial will be held 10:00 am Tuesday, January 29th at St Francis of Assisi Church, West Nyack, NY. Burial will follow at Long Island National Cemetery.